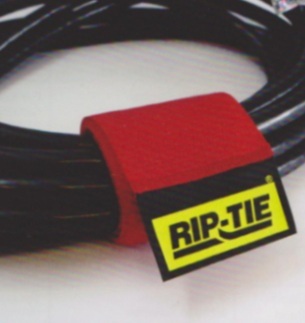 Rip-Tie Fuzzy Cable wraps is all about managing large bundles of cable with quality products. The Cable Wrap has a little brother that is 2” wide with a whole new design. 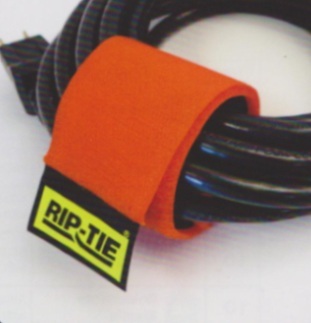 Featuring two grommet holes, slip in the nylon ties (included)—able to hold 50lbs, and attach the RipTie wrap to the cable. 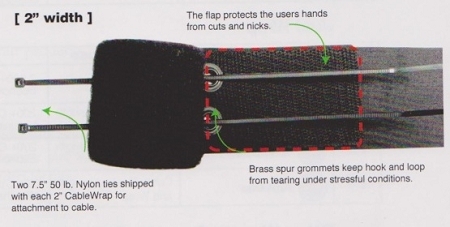 The grommets are made from brass, to keep the hook and loop intact. 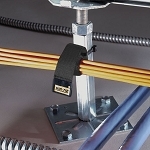 A flap is also implemented into the new design of 2” cable wraps for two functions: to cover the heads of the nylon ties and to protect the users hands from cuts and nicks. 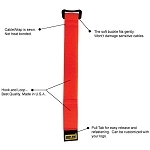 Another model is also available - Rip Tie CableWrap with Webbing, sharing the same design, and made with additional heavy duty nylon webbing for industrial grade strength. For additional information and instructions, please click the "More Information" tab. 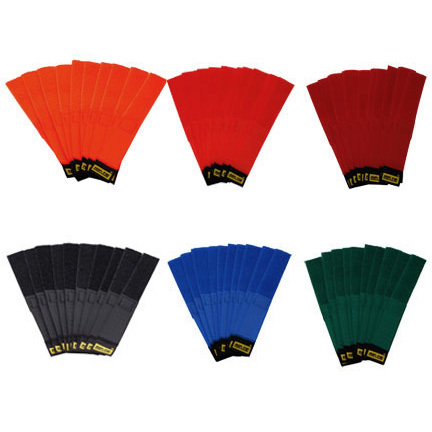 *Item usually ships in 24-72 hours, some color options may have lead time, we will contact you immediately if so.